Sometimes I struggle for something to blog about. Sometimes (like the last few weeks) I've been busy/not had the motivation/been lazy/just been playing Assassins Creed too much to blog. And sometimes life makes it really really easy to write. 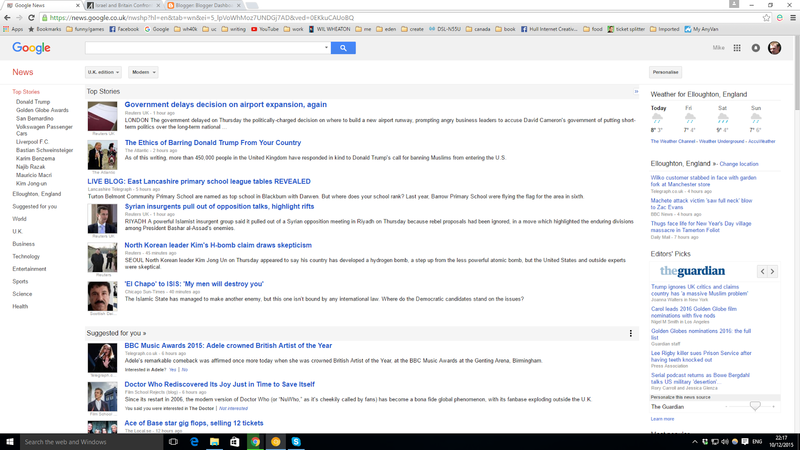 Google News is a news aggregator, that pulls together various news reports and puts them in one place for easy reading. And I use it all the time, at least once a day I'll be on there seeing what's happening in the world. I'm just interested in what are the "top stories" at the moment. Number one - delays on the UK Government decision to build an expansion to an airport - well, I wholly understand that being a top news story, my understanding is that the UK is apparently very restricted on the number of air journeys it can handle (at least around London) and needs more capacity - but of course that causes a great deal of environmental damage, costs a lot of money, causes disruption and so on, so it's something a lot of people have strong opinions on. Number two is an article about the ethics of banning Donald Trump from your country. As I write this on the UK Government Petitions website there is a petition, signed by very nearly half a million people (and I wouldn't be surprised if by the time I post this the petitioned had passed that mark), to ban Donald Trump from entering the UK. So yes, it's certainly current news. I guess while Google News makes it easy to get updates, it isn't quite the sole source of news information we should all rely upon just yet. No news is good news. 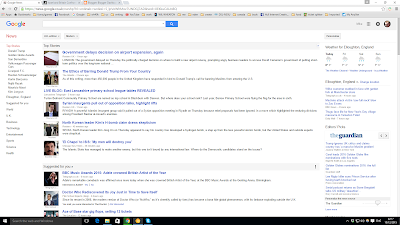 And often I've noticed that Google New is no news at all.